﻿ The Shri Ram School (TSRS) | “Math-e-Magine: Imagine Beyond Numbers” 17th December, 2015. 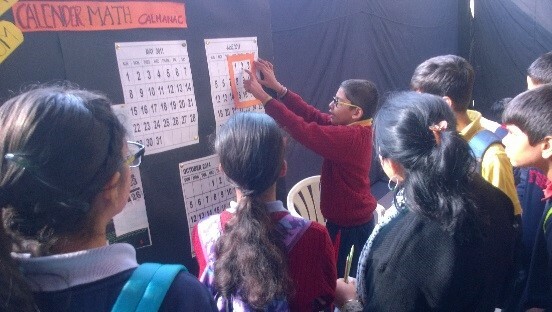 “Math-e-Magine: Imagine Beyond Numbers” 17th December, 2015. The thought behind the “Math-e-Magine: Imagine beyond numbers”, at TSRS, was to inculcate a vision in our young talents to start looking at mathematics beyond their textbooks and curriculum. Our focus was on a mathemagical experience promoting understanding, confidence and enjoyment, of mathematics and promoting creative and imaginative approaches to math. The objective: to bring mathematics to life by weaving it in the fabric of a child’s personality through art, music, nature, sports etc. T he entire framework consisted of broadly 4 topics viz Number Sense, Shapes & Patterns, Measurement and Data Interpretation. 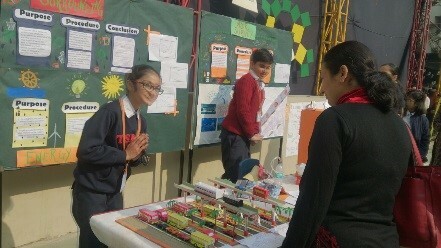 The children from PV to class 5 enhanced their knowledge through research based projects and developed their ability to apply that knowledge to real world phenomena. 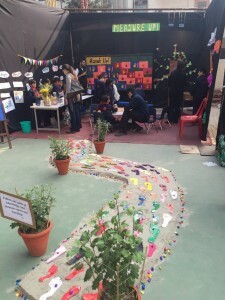 The knowledge integrated with creativity culminated into the display of projects as models, games and various activities related to Math.